To understand the current expectations of your Help Desk staff, you need to review their Help Desk job descriptions including role and responsibilities. A well-defined Help Desk job description is critical to define the primary functions and duties for the positions at the Help Desk. So what should be reviewed from the Help Desk job descriptions? You first should determine if there is one general Help Desk job description or are there multiple Help Desk job descriptions based on experience and special skills. Just having one general Help Desk job description for the entire help desk staff, will not promote a career path. It means as help desk agents season and mature in their position they will not have the opportunity for an internal position within the team. In a mature help desk structure, you will see job positions have a level 1, 2, and 3 tier level experience modifier or you may have a junior and senior level. Level 1 or junior positions will perform routine duties under direct supervision. As the staff becomes more senior this can change to indirect supervision. Industry standard help desks will have 70% to 80% level 1 or junior help desk agents with a 20% to 30% of more experienced or senior level help desk agents. A well-defined job Help Desk job description will describe the most important abilities and skills necessary to be successful in the role. 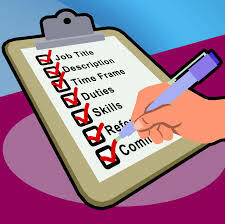 A job description is also a good foundation to use for measuring performance against. During interviewing candidates for open positions, an accurate job description will improve the result of attracting ideal candidates that meet the qualifications you are seeking. This will also lead to better hiring decisions and fewer issues down the road. For a help desk position, some of the key abilities and skills are good communication, problem-solving, specific technical knowledge, and customer service skills. There are two different job categories to consider. The first is called a generalist. Generalists possess a small or medium amount of knowledge about a wide range of technical topics. A generalist is best positioned providing first level support to callers with issues. For smaller help desks almost all of the staff are generalists to provide proper coverage. In a medium to a larger company, generalists are positioned on the front line taking the call first. If the issue is more complex, issues will be escalated to specialist or second level support. A specialist will have a high level of information related to a small scope of technical topics. A specialist can also be someone that has a specific role within the help desk or IT department. These roles could be major incident management, problem management, knowledge management or such. A significant factor is employee engagement is the supervisor to staff ratio. If the ratio or span of control is balanced correctly, supervisors can provide coaching, direction and mentoring. Focused supervisors with correctly sized teams will allow good communication to improve efficiency and reduce issues. For a help desk with complex procedures, specialized job roles and the need for management approvals, the ratio is typically not more than 10 to 1. For a help desk with repetitive tasks, a generalized job role and scripted escalations, the ratio is typically not less than 15 to 1.